You've heard of the Chevy Volt. How about the Chevy Bolt? General Motors is planning to unveil a concept electric vehicle on Monday that can go 200 miles on a single charge. It would be introduced in 2017 and cost about $30,000. News of the Chevy Bolt was reported late Friday by the Wall Street Journal. A knowledgeable source told CNNMoney that GM plans to reveal a new concept car at its Chevy Volt press conference at the Detroit Auto Show. The Bolt announcement could be seen as a rival to Tesla (TSLA). Tesla's Model S sedan can go 265 miles on a charge, but costs about $70,000. The company is soon expected to come out with a new car, the Model 3, that would cost about $35,000. For GM, the Bolt will become part of the company's efforts in the electric car market. Earlier this week, GM (GM) briefly revealed its next-generation Chevrolet Volt plug-in car at the Consumer Electronics Show in Las Vegas. 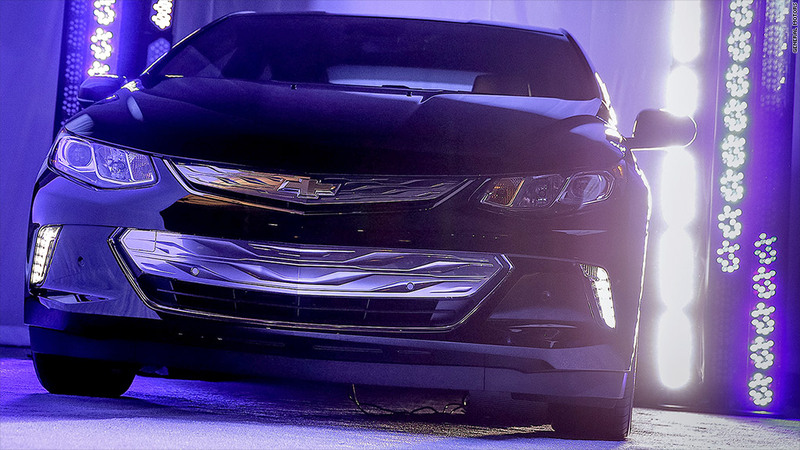 General Motors briefly showed off the next-generation Chevrolet Volt at CES in Las Vegas. Some upgrades to the new Volt includes improvements to the car's battery pack, gas engine and electric drive system. Introduced in late 2010, GM has sold almost 70,000 Volts. 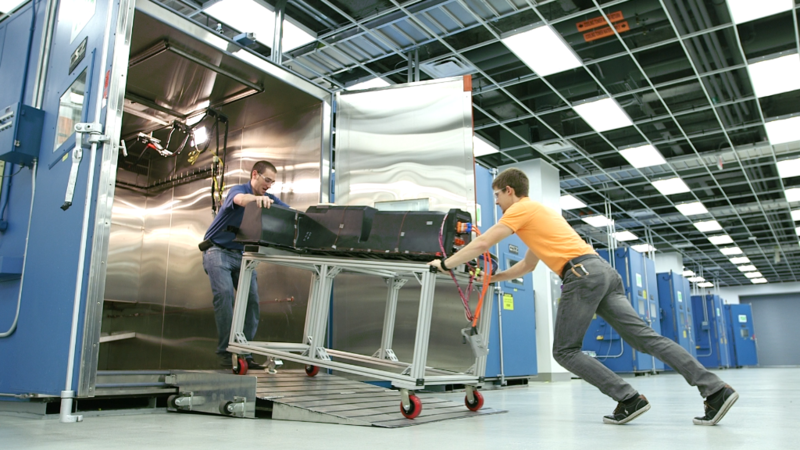 GM is expected to sell about 20,000 Volts this year, according to market analysts at J.D. Power and Associates.